We passionately believe in the power of Purposeful Play! 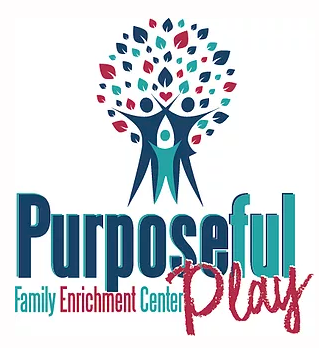 We engage in fun, goal-oriented play with the purpose of strengthening, enriching, connecting, developing, bonding, and empowering through intentional therapeutic play. Activities are tailored to all ages and stages of life in order to nurture healthy relationships, improve problematic behaviors, and support personal success. Each individual session, family session, or therapeutic play group is facilitated by a professional with high educational, experiential, and therapeutic standards, as well as a desire to help individuals and families grow stronger and healthier. Interested in Counseling, or other services with us? Click the link below to get started! We specialize in theraputic play to treat attachment issues, problem behaviors, trauma, and parenting concerns. Committed to providing a full spectrum of therapeutic services. We provide evidence-based therapeutic services, purposeful play, education, support, and nurture a healthy emotional connection. Purposeful Play provides a cutting edge therapeutic experience that is purposefully different from most traditional therapeutic approaches. One-on-one play dates with one of our play professionals, designed and tailored to specially fit your child’s needs. Intentional, supervised play designed, facilitated, and supervised by one of our play professionals. We welcome partnerships, students, daycare centers, child welfare workers or anyone that is interested in seeing our facility or want more information on play therapy. We have moved to our new location! our current phone line is temporarily down, so please leave your name and number for us to contact you as soon as we can. Thank you!